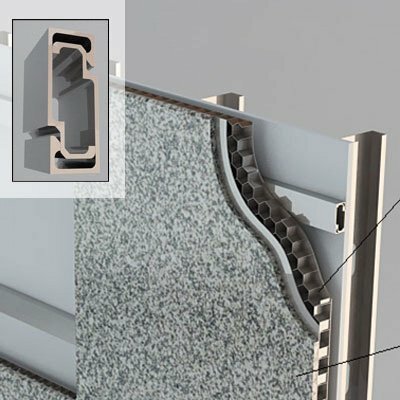 In the interlocking channel installation method, an aluminum channel track is attached to the substrate with screws. Attached to the panels is also an aluminum channel. The panel channel interlocks with the channel attached to the substrate. 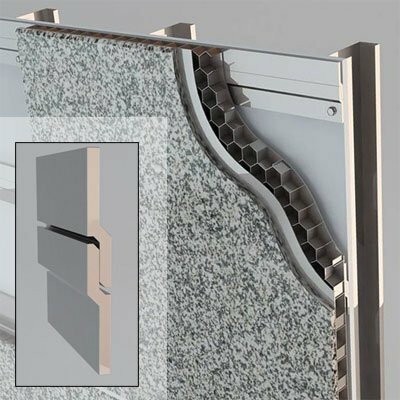 This method is used mainly for panels attached to honeycomb backing. Using the Z Clip method, an extruded aluminum track is attached to the substrate with screws. 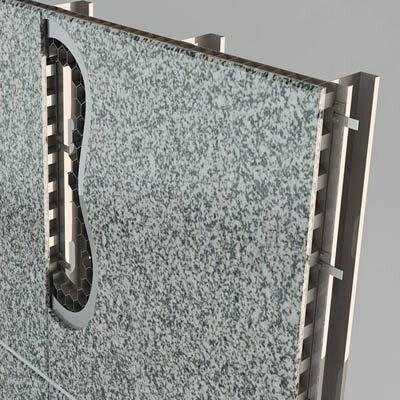 The panels have Z clips on the back face which slide down into the extruded aluminum track attached to the substrate. The panels are then inserted into the track. This method is used mainly for panels attached to honeycomb backing. The third type of installation method is known as the plate and screw method. This method screws attach plates to the aluminum substrate. A backer rod and sealant at the joint will not only seal the joint, but also conceal the screws at the joint. This method is mainly used for honeycomb backing. The adhesive installation method is used mainly for aluminum composite material (ACM) backing. With this method, structural silicone is used to attach the stone panel to the substrate.Who can install StonePly stone panel cladding? StonePly is fairly lightweight and easy to install. Carpenters, mills workers, glaziers, stone setters, and masons can handle installation.